Blue Sky • Rocky Mountain Power says plant will provide electricity for 500 Utah homes. Courtesy | Rocky Mountain Power Rocky Mountain Power plans to build a solar farm similar to this one to power about 500 Utah homes. Courtesy | Rocky Mountain Power Rocky Mountain Power plans to build a solar farm similar to this one to power about 500 Utah homes. The company announced Wednesday that it plans to build the farm at a still-undetermined location that will provide enough electricity for 500 homes through the use of 9,000 panels. It will be partially funded by the company&apos;s Blue Sky program. "This is the first utility-sized solar project to be funded in part by Blue Sky customers and we plan to do more," said Rocky Mountain Power President Richard Walje. "We are committed to providing a bright energy future to customers by bringing them even more renewable energy choices." Last September, Provo-based Energy Capital Group announced it was developing a 300-megawatt solar plant adjacent to the Intermountain Power Plant near Delta. The company announced that this will be one of the largest solar projects built, costing an estimated $600 million. The company is leasing 1,754 acres from the Utah School and Institutional Trust Land Administration. It said this location is ideal because of a transmission line going directly to California. 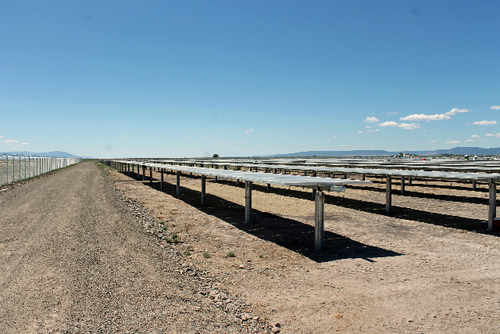 Utah lags far behind surrounding states for large solar farms. The state ranks 11th among 13 western states in renewable elctrical installed capacity, leading only Hawaii and Alaska. Rocky Mountain Power also ranks first among western power producers for carbon, sulfur dioxide, nitrolus oxide and mercury pollution. The Rocky Mountain solar project&apos;s location will be determined later this year after studies are completed. The company considered locations in the Salt Lake City area but now is looking at other company-owned sites that will make the project less expensive to build and can produce an estimated 15 percent to 20 percent more energy. "A growing number of Utah customers want to buy electricity from renewable energy sources, especially in-state projects," said Walje. "We&apos;ve listened, and with support from our Blue Sky customers, we&apos;re able to build a solar project in Utah to help respond to that desire. This is in addition to the renewable energy we buy from wind and solar projects in Utah. Our company also is the second-largest rate-regulated utility owner of wind resources in the country." A recent poll said 43 percent of Utahns wanted solar and wind power, making those sources easily the most popular and well ahead of second-place natural gas. Rocky Mountain Power officials said a big factor in trying to produce more solar power is the cost of the technology has dropped in recent years. It will take about two years for the process. 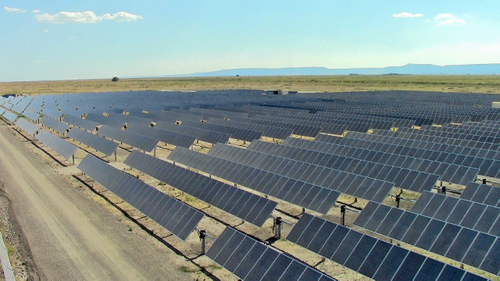 If approved by the Utah Public Service Commission, the company says the solar project should be online in June 2016. It will initially provide 2 megawatts of power, but may be expanded to produce 5 megawatts. The facility will initially be leased in order to receive federal tax benefits. Rocky Mountain Power customers can choose to support Blue Sky renewable energy for as little as $1.95 per month. And the company&apos;s Blue Sky program is accepting funding applications for renewable energy projects from April 9 to June 30. Information on both programs is available at http://www.rockymountainpower.net/bluesky.